Andres Torres (above) teaches in the Latin American, Latino and Puerto Rican Studies department. 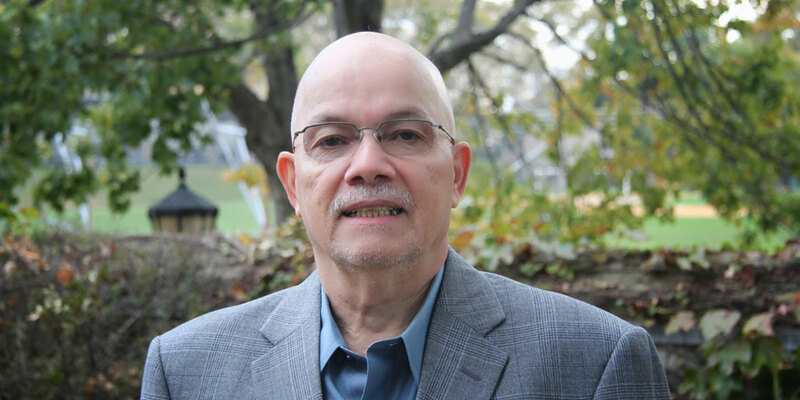 As a member of the radical Puerto Rican Socialist Party (PSP) in the 1970s and 80s, Professor Andres Torres always suspected that he was under surveillance by the Federal Bureau of Investigation for his political activities. Yet, the extent of how much he was being monitored didn’t become clear until he made a Freedom of Information (FOI) request in 2006. Torres acquired 1,100 pages of FBI documents that tracked the minute details of his life and whereabouts during those decades, including meetings, marches, pickets, rent parties—and even picnics. Torres, today a lecturer in Latin American, Latino and Puerto Rican Studies at Lehman, was reminded of the events of his past after the New York Times published a story in June on the New York Police Department’s extensive surveillance of high profile radical groups including The Black Panthers and The Young Lords during the same era. While not as famous as those groups, the PSP was involved in the struggle to end colonialism in Puerto Rico. The party was demanding an independent Puerto Rico and achieved their greatest successes, according to Torres, when they attracted 20,000 people to Madison Square Garden in 1974 for a pro-independence rally. Two years later, in 1976, they held a mass mobilization rally with 40,000 attendees in Philadelphia as a counterpoint to the Bicentennial celebration. Torres acknowledges that even with their successes and a legacy that produced changes in Puerto Rican culture, the group suffered from “excesses of ideology” and “extremes of doctrinism.” Like the Young Lords, the PSP was largely made up of radicalized young people whose parents had come to the mainland from Puerto Rico in the 1930s and 1940s. The organization’s roots date back to the 1959 Movimiento Pro-Indepencia in Puerto Rico, a group of dissidents, university students, and militants that were influenced by the recent revolution in Cuba. Torres admits that the Young Lords were more successful at organizing and getting media attention than the PSP. “They absolutely had a greater understanding of how to make an impact on the media and on television,” he said. Perhaps not surprisingly, several of the Young Lords later became well-known journalists themselves including Felipe Luciano, Juan Gonzalez, and Pablo Guzman. Torres made his FOI request when writing a family memoir. The reams of documents included redacted sections, photos, leaflets, and names of attendees from long-forgotten small meetings and large public events. “The scope of their activities wasn’t a surprise,” said Torres about the FBI surveillance. “The assumption was that our phones had been tapped. They perceived us as a political threat.” In one FBI document dated October 6, 1975, the agency wrote: “Since November 1971, Andres Torres has attended approximately 210 functions of the Partido Socialista Puertoriqueno (PSP). These functions included meetings, demonstrations, conferences and social gatherings.” Torres notes that the FOI request yielded no information from other agencies that the PSP suspected were also spying on them. “Young people ask me what can you tell me about social change and it’s very difficult to find a formula or an overarching strategy that will answer that question perfectly,” he said. “I think we’re making progress. Each generation responds differently to how they will change society.” .